After the fall of Saddam, Muqtada al-Sadr, a charismatic Iraqi cleric who comes from a powerful clerical dynasty, emerged as one of the country's most talked-about Shi'a leaders. Al-Sadr is the son of Grand Ayatollah Muhammad al-Sadr, who was killed in 1999 by agents presumed to be working for Saddam Hussein, thus becoming one of the major symbols of Shi'a resistance to the former regime. Al-Sadr -- who was believed to be around 30 years old [though some sources claim he is in his early 20s] -- lived in the holy Shi'a city of Al-Najaf. The controversy regarding his age was most likely started by opponents of al-Sadr trying to undermine his legitimacy. Al-Sadr was one of the most vocal critics of the U.S. occupation of Iraq. The leader of the Sadriyun Movement [Sadriun Movement], he insisted US troops should leave the country immediately and that Iraqis be given an opportunity to create an Islamic state if they choose. On 18 July 2003 al-Sadr used a Friday sermon in Al-Najaf to denounce as "puppets" the members of Iraq's new U.S.-appointed Governing Council. He also announced his own plans to form a militia. 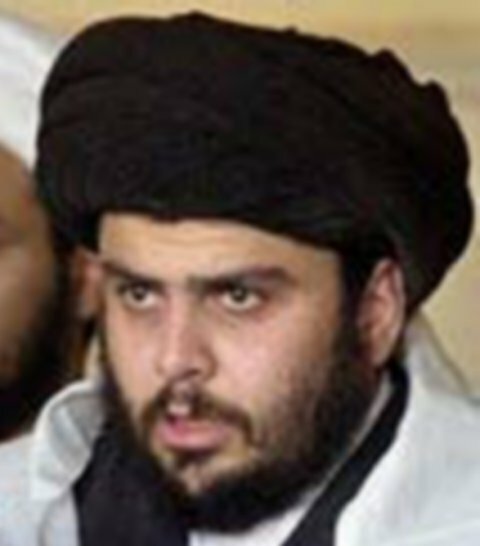 Al-Sadr announced his new government during his sermon at Friday prayers in Al-Kufah on 10 October 2003. Muqtada al-Sadr announced his intention to form an Islamic state in Iraq by establishing a shadow government there, complete with ministries. Fighting broke out in Karbala on 13 October 2003 when al-Sadr's men attacked supporters of moderate Shi'ite Grand Ayatollah Ali al-Sistani near the Imam Hussein shrine. The cleric challenged coalition forces after they closed his "Al-Hawzah" newspaper on charges of incitement and arrested an al-Sadr aide on charges relating to the al-Khoi killing. The situation escalated when it was revealed that an Iraqi judge had also issued a warrant for al-Sadr's arrest in al-Khoi's assassination outside the Imam Ali Mosque in Al-Najaf. Coalition Provisional Authority (CPA) spokesman Dan Senor publicly revealed 05 April 2004 that an Iraqi judge has issued an arrest warrant for Shi'ite cleric Muqtada al-Sadr in connection with the 10 April 2003 murder of Shi'ite Grand Ayatollah Abd al-Majid al-Khoi at a mosque in Najaf. Senor also announced that Iraqi police had arrested Mustafa al-Yacoubi in connection with the same murder of Ayatollah Abdul Majid al-Khoei and one of his aides. Qom-based Iraqi-born cleric Kazim al-Husseini al-Haeri with the administration of eastern Baghdad, according to "The New York Times" on 26 April. Al-Haeri reportedly issued a religious edict in early April that was distributed among Shia clerics in Iraq that calls on them "to seize the first possible opportunity to fill the power vacuum in the administration of Iraqi cities." "We hereby inform you that Mr. Muqtada al-Sadr is our deputy and representative in all fatwa affairs," Haeri's decree adds. "His position is my position." Thousands of people chanted their support for Muqtada al-Sadr as they went to hear him at the Friday prayers at a Najaf mosque. Al-Haeri once had a close relationship with the Shia Al-Da'wah al-Islamiyah party, but split with the group because al-Haeri was excessively pro-Iranian and called for the party to respect the guidance of Iranian Supreme Leader Ayatollah Ali Khamenei, Beirut's "Al-Mustaqbal" reported on 24 April. Al-Haeri is an advocate of Vilayat-i Faqih (Guardianship of the Supreme Jurisconsult), on which Iran's theocracy is based. Al-Haeri's involvement in Iraqi politics could have a profound impact. He is the point at which the Sadriyun (as supporters of al-Sadr are known), SCIRI, and Da'wah converge. Since then, the 68-year-old al-Haeri renounced his relationship with al-Sadr. "Mr. al-Sadr used to be our representative...but that was on condition of obedience to and coordination with our office in Al-Najaf," al-Haeri said in comments posted on his website, AP reported on 5 September. Al-Sadr "does not coordinate with our office, so his agency became void," according to the website, which added that al-Sadr "does not seek our advice in his stances, so we cannot endorse what he does." According to a 5 September report in "The New York Times," al-Haeri withdrew his support for al-Sadr after Ayatollah Ali al-Sistani informed senior clerics in Qom that the Imam al-Mahdi Army caused some of the battle damage at the Imam Ali shrine in Al-Najaf. By early 2004 Sadr's followers had elevated him to the rank of hujjat al-Islam (a "Sign of Islam," or a "Proof of Islam," the third rank from the top in the Shi'i clerical hierarchy). He wrapped himself in a white funeral shroud, showing he is ready for death. Thousands of Iraqis in Baghdad and the Shi'ite-populated cities of Al-Kut, Karbala, and Al-Najaf took to the streets in support of al-Sadr, while the cleric's outlawed Imam Al-Mahdi Army established control over government buildings and police stations in a direct challenge to coalition authority. Former Iranian President Akbar Hashemi Rafsanjani praised al-Sadr's actions as "heroic" during his Friday prayer sermon in Tehran on 9 April. "Contrary to these terrorist groups in Iraq, there are powerful bodies which contribute to the security of that nation...among them is the Mahdi Army, made up of enthusiastic, heroic young people," Reuters quoted Rafsanjani as saying. However, Iranian Grand Ayatollah Hussein Ali Montazeri criticized the Al-Mahdi Army in comments faxed to Reuters, saying: "Imam Mahdi would never be content to initiate disunity, division, and factionalism in his name." Muqtada al-Sadr has resided in Iran since 2007, where he was said to be working on his religious studies, with the reported intention of acquiring the status of Ayatollah. Sadr was frequently rumored to be returning to Iraq; as with the Hidden Imam, past reports of his imminent return have not come to pass. Sadr is often referred to as paranoid and distrustful, even of those in his inner circle, and has a known tendency to replace those he thinks have become too powerful and thereby pose a threat to his authority. Sadr maintains close financial and political ties to Iran. Grand Ayatollah Muhammad Al-Sadr, age 66, was killed in February 1999. The killings was part of an organized attack by the Iraqi Government against the independent leadership of the Shi'a community. The Government has not responded to Van Der Stoel's inquiries. In the aftermath of these killings, Saddam's Government increased repressive activities in the south and in other predominantly Shi'a areas to prevent mourning observances and popular demonstrations. In April 1999, the Government executed four Shi'a men for the al-Sadr slaying after a closed trial. Shi'a religious authorities and opposition groups objected to the trial process and contend that the four executed men were innocent. At least one of the four, Sheikh Abdul Hassan Abbas Kufi, a prayer leader in Najaf, reportedly was in prison at the time of the killing. The Shi'a press reported in January 1999 that he had been arrested on December 24, 1998. The three others executed with Kufi were Islamic scholar Ahmad Mustapha Hassan Ardabily, Ali Kathim Mahjan, and Haider Ali Hussain. Although a funeral for al-Sadr was prohibited, spontaneous gatherings of mourners took place in the days after his death. Government security forces used excessive force in breaking up these illegal religious gatherings. Throughout the country, security forces used automatic weapons and armored vehicles to break up demonstrations, killing, injuring, and arresting hundreds of protesters. In late 1999 and early 2000, approximately 4,000 Shi'a families were expelled from Baghdad and sent to southern and western Iraq in reprisal for the disturbances that took place after al-Sadr's death. Baathist authorities targeted suspected supporters of Grand Ayatollah Mohammad al-Sadr since he was killed in 1999. In April 1999, the Baath Government executed four Shi'a men for the al-Sadr slaying after a closed trial. Shi'a religious authorities and opposition groups objected to the trial process and contend that the four executed men were innocent. At least one of the four, Sheikh Abdul Hassan Abbas Kufi, a prayer leader in Najaf, reportedly was in prison at the time of the killing. The Shi'a press reported in January 1999 that he had been arrested on December 24, 1998. The three others executed with Kufi were Islamic scholar Ahmad Mustapha Hassan Ardabily, Ali Kathim Mahjan, and Haider Ali Hussain. The status of Ali al-Musawi, another Shi'a cleric accused of complicity in al-Sadr's death, still is unknown. 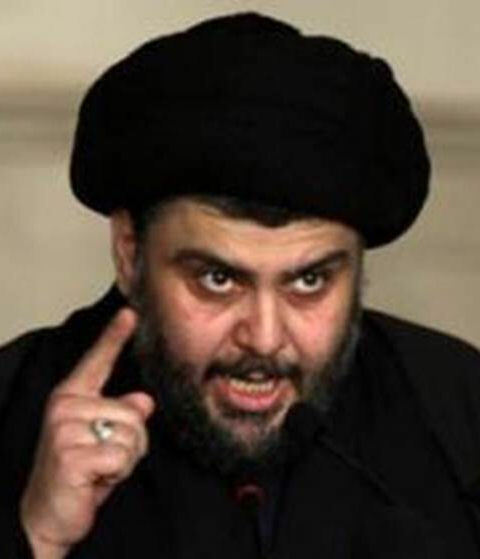 According to a report submitted to the Special Rapporteur in September 1999, one of al-Sadr's sons, Sayyid Muqtada al-Sadr, was arrested along with a large number of theological students who had studied under the Ayatollah. Nineteen followers of al-Sadr reportedly were executed toward the end of 1999, including Sheikh Muhammad al-Numani, Friday imam Sheikh Abd-al-Razzaq al-Rabi'i, assistant Friday imam Kazim al-Safi, and students from a religious seminary in Najaf. In February 2000, 30 Najaf religious school students, who were arrested after al-Sadr's death, reportedly were executed. In March 2000, scores of Shi'a who fled the country in 1999 and early 2000 told Human Rights Watch that they had been interrogated repeatedly and, in some cases, detained and tortured. Some were relatives of al-Sadr's students who had been arrested after the killing, and others were relatives of other prominent clerics. In May 2000, according to Human Rights Watch, at least six religious students in Najaf who were arrested after al-Sadr's killing were sentenced to death, including Shaikh Salim Jassem al-Abbudi, Shaikh Nasser al-Saa'idi and Sa'ad al-Nuri. Two clerics, Abdulsattar Abed-Ibrahim al-Mausawi and Ahmad al-Hashemi, reportedly were executed in May 2000 after 6 months' detention. The Government accused them of attempting to discredit the President after they blamed Saddam Hussein for the al-Sadr's killing. Baathist authorities took forceful preemptive measures well ahead of the first anniversary of Grand Ayatollah Mohammad al-Sadr's killing. Military units were deployed around shrines, mosques, and other religious institutions 2 months before the February anniversary. The Government closed mosques except during prayer time, and the turnout on the holy day of Ashura in April 2001 consequently was many times lower than it had been in the past. In late May 2001, the Ba'ath party reportedly issued orders prohibiting the ritual walking pilgrimage from Najaf to Karbala, a procession marking the end of the 40-day mourning period for Imam Husayn. Travelers reported that security troops opened fire on pilgrims who attempted the pilgrimage. In the aftermath of the al-Sadr killing and subsequent repression, the Shi'a religious community remained in a precarious state. Many scholars at the Shi'a religious schools in Najaf reportedly were arrested, as were many of al-Sadr's religious appointees throughout the country. These restrictions and abuses had an adverse affect on the development of a new set of Shi'a leaders. The al-Sadr killing intensified Shi'a anger at the ruling Sunni minority and led to more severe government repression of the Shi'a. The Shi'a resistance also launched bolder actions against the regime--including grenade and rocket attacks on security headquarters, Ba'ath Party offices, and presidential residences in Baghdad, as well as small arms attacks in many parts of the capital. For example, the al-Amin, Nuwab ad-Dubbat, and al-Nafth districts of Baghdad reportedly remained in a heightened state of alert every Friday since al-Sadr's death. The distinguished leader Ayatollah Sayed Mohammed Baqir Al-Sadr was a co-founder of the Islamic political movement in Iraq established in the late 1950s, along with Sayed Al-Hakim and other scholars. Sayyid Muhammad Baqir al-Sadr, the uncle of Muqtada al-Sadr, was born in the city of Kazimayn, Iraq on Dhil Qu'dah, 25, 1353 A.H/2.3.1933 CE. In early days of his childhood, he was deprived of fatherhood and brought up by his elder brother and bonored mother. He completed all hawzah (religious seminary) stages at the age of 25 in 1378 A.H/1958 CE. In the 1950s Ayatollah Muhammad Baqir al-Sadr and other prominent clerics founded the Al-Da'wa al-Islamiyya (Islamic Call) party. Sayed Al-Hakim's association with Ayatollah Al-Sadr continued after his release in 1979, when Ayatollah Al-Sadr was put under house arrest. Sayed Al-Hakim assumed the responsibility of conducting clandestine contact with Ayatollah Al-Sadr. 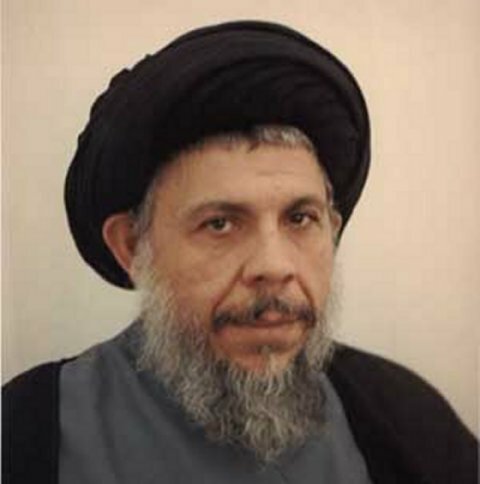 Sayed Al-Hakim maintained a close association with Ayatollah Al-Sadr up to the martyrdom of Ayatollah Al-Sadr in 1980. 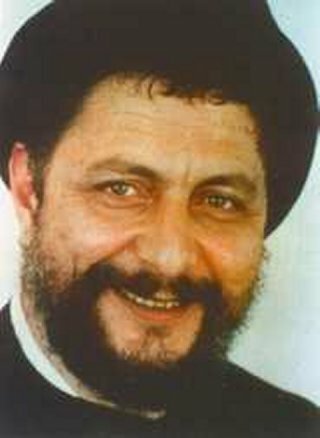 The Grand Ayatullah Martyr Sayyid Muhammad Baqir al-Sadr was executed on April 8, 1980. His execution aroused no criticism from the West, because Sadr had openly supported the Ayatollah Khomeini in Iran and because the West was distracted by the turbulence in Iran. 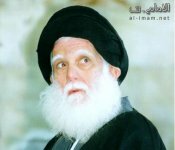 Ayatollah Sayed Mohamad Baqir Al-Hakim maintained a close association with Ayatollah Al-Sadr up to the martyrdom of Ayatollah Al-Sadr in 1980. Another un-related Islamic notable with the Sadr surname. The Shia's constitute nearly 50% of the Lebanese population. Sayyid Musa Sadr organised them and established numerous educational and vocational institutions for males and females for all age group. In 1967, he toured seven West African countries to see the conditions of Lebanese Shia's who had settled there. 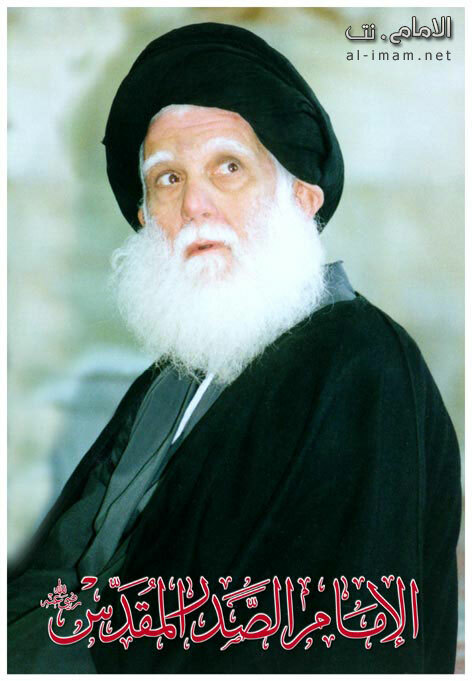 In 1969 he established the Supreme Council of the Shi'ite Muslims of Lebanon. in 1978, he went to Libya to discuss the Palestinian issue. The moment he set foot on the Libyan soil, he disappeared.